InPrivate is a cloud based software for helping Private Equity firms and Venture Capitals on their dealflow. The mission is to let the investment partners to keep track of all their investment opportunities without losing control by giving them access to the best tools and delivering an outstanding support. Investment businesses take faster decisions and they focus on the most important deals thanks to better analytics and reporting. Since 2004 Fabrizio developed in-house tools for Clessidra Capital Partners and for F2i to manage their deaflow. In 2012 he launched InPrivate Software, an innovative cloud based platform based on a permanent, client-driven development, where customers benefit from having an ever-growing set of features for a flat fee. 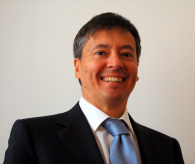 Fabrizio is responsible for the product development of InPrivate Software. A Milan Polytechnic trained software engineer since 1992, after a strong experience in software development, before working for Private Equities he managed complex technology projects for Societe Generale, Aletti Bank and the Italian (now London) Stock Exchange.